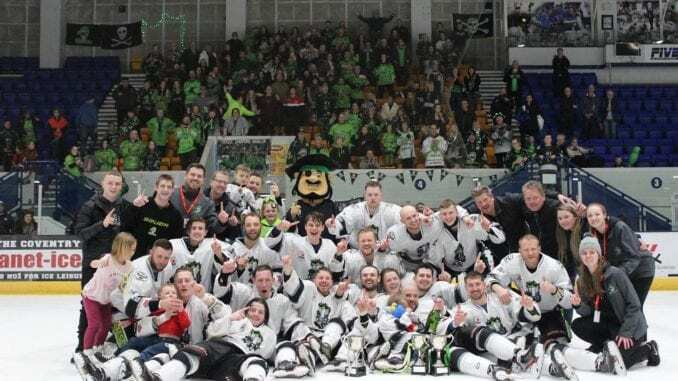 Hull Pirates took the NIHL play-off title in dramatic fashion as Bobby Chamberlain’s overtime winner secured a victorious end to the weekend in Coventry. 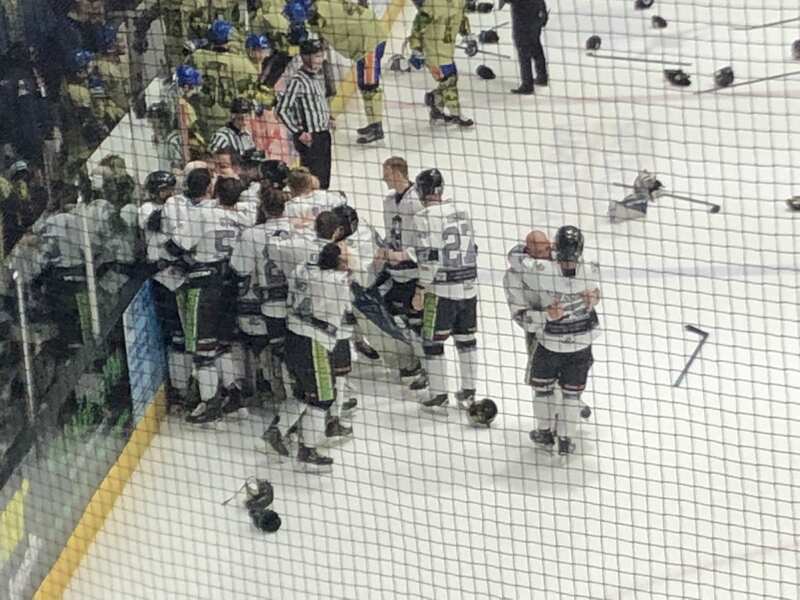 Pirates added to their North 1 title with a thrilling 5-4 win over Peterborough Phantoms in a game that could have gone either way. Jason Hewitt’s side opened the scoring after three minutes when Sonny Karlsson fired in to get the game off to a great start. This was quickly followed by the Pirates player-coach adding a second after five minutes and Phantoms were caught on the back foot. Slava Koulikov’s men hit back a few minutes later as they regained their composure and it was Ales Padelek who beat Ashley Smith short side to pull one back. Peterborough were level by the end of the period as Callum Buglass sent one into the top shelf and it was 2-2 almost in the blink of an eye. Both sides traded goals as Chamberlain’s second after 26 minutes was cancelled out by Glenn Billing shortly after and the teams were tied at three after two frames. 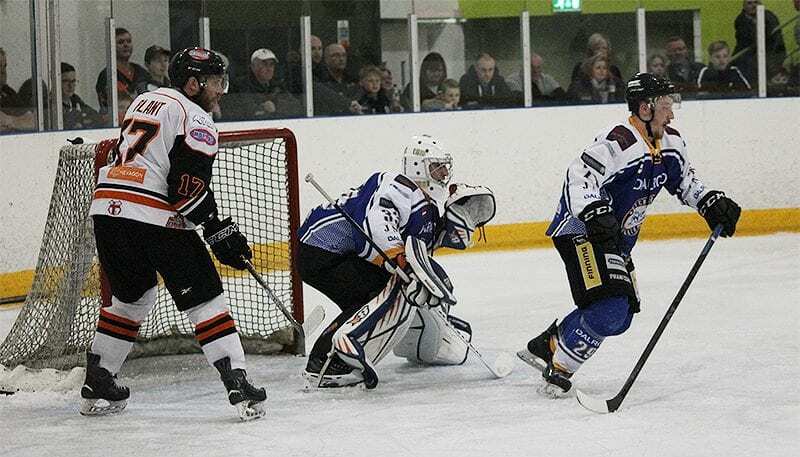 Hull didn’t let up and inched ahead again with ten minutes to go as Karlsson picked up his second of the game, but once more Phantoms were haunting their opponents. James Ferrara finished a rebound after Padelek’s shot was saved with four minutes to go and it became clear to the watching Skydome crowd that it was going to take more than regulation time to decide a winner. 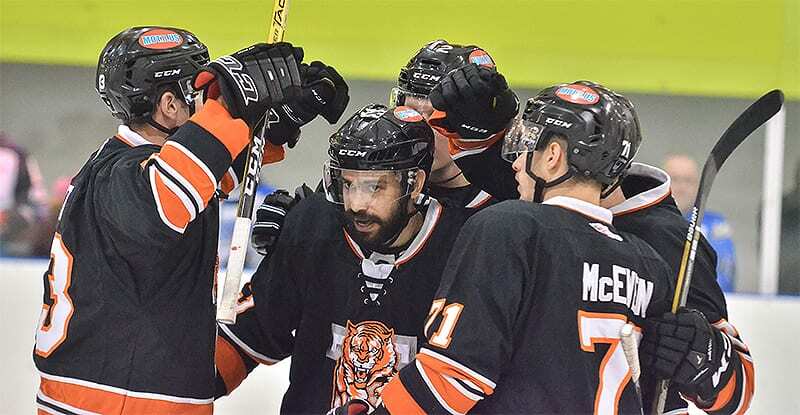 Finally, Hull fashioned a two-on-one and Matty Davies laid the puck off to Chamberlain, who gleefully tucked the puck away to begin the celebrations. For Phantoms, there was no way back in a game they put so much into. 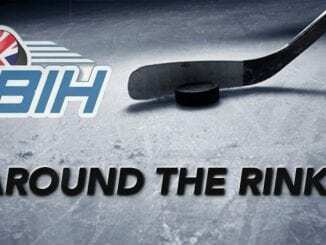 Around the Rinks: Next Steelers coach?